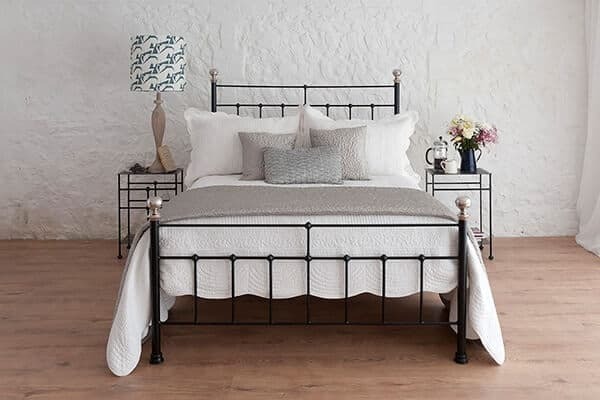 Iron Beds | Metal Beds | Wrought Iron & Brass Bed Co. It all started with over a decade ago, with a small selection of iron beds and we have never left them behind. Loved by many, for their simple, classic and traditional designs. Each iron bed is loving crafted by our skills craftsman, in the same flawless manner as they were over a decade ago. Around since day one. Sophie has been a customer favourite for over a decade. Featuring a naturally low tailboard. Grace is the perfect iron bed, for those who like dangle their feet. Based on an original Victorian dormitory, iron bed design. Edward looks stunning in all our colours. Designed by company founder, Amanda. Emma offers a chunky iron bed design and lends it’s self, to a deep base and mattress. A customer favourite for many years. Jenny makes the perfect, country cottage iron bed. With a downward sweeping curve and extra detailing. Lily offers an elegant design, to our iron bed range. Based on our Sophie design. Charlotte features a higher tailboard, giving you the opportunity for a deep and chunky mattress. 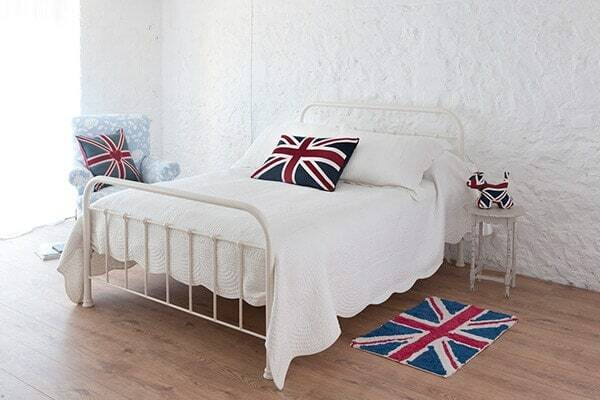 Our iron bed range all started over a decade ago, with a small selection of iron beds and we have never left them behind due to their popularity. Loved by many for their simple, classic and traditional designs, these iron bedsteads offer unique character that you won’t find anywhere else. Each iron bed is loving crafted by our skills craftsman, in the same flawless manner as they were over a decade ago. If you have read our story, you will know that it all started with two handmade iron beds! Even to this day, they are housed in our workshop on the royal estate of Sandringham, Norfolk. With our diverse range of beds, available in a range of sizes including king size and day bed size, we offer colour options, a choice of bedknobs and bases, as well as the option to add a mattress. 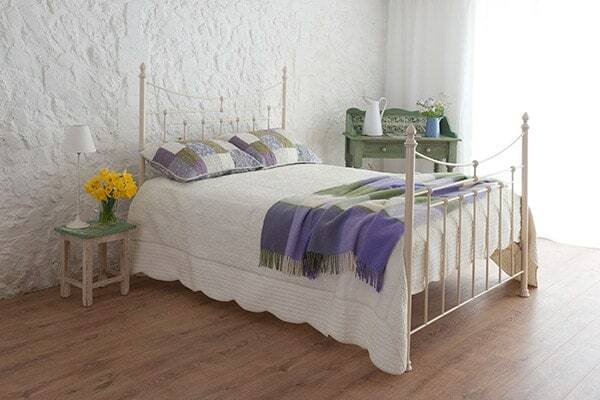 We can also assemble the bed base for you in your home and offer wool bedding to complete your bed, including duvets, mattress toppers, pillows and mattress protectors. With every option covered, you’re sure to find the iron bed that suits your lifestyle, your bedroom and your budget. It’s estimated that we spend one-third of our life asleep, so it’s vital that your bed is comfortable and enjoyable to spend time in. We can’t think of anything comfier than our king size iron beds! 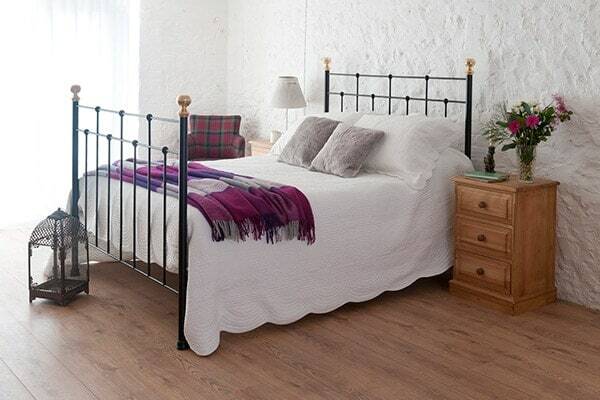 Handcrafted with love by our skilled Norfolk craftsmen, these iron beds are fabulous quality, exceptional value and can be handed down from generation to generation. If you have any questions, please feel free to contact us and we shall be happy to help.